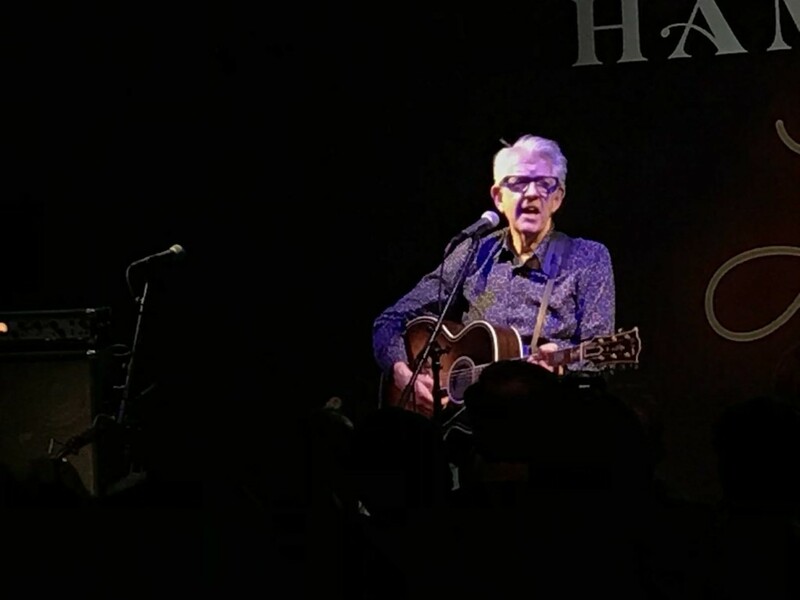 Nick Lowe is calling his tour with Los Straightjackets the Quality Rock & Roll Revue and it’s no idle boast. The cool, memorable songs of Lowe with his smooth, elder statesman air, combined with the funhouse snarl of the twangin’ Straightjackets, in their Mexican wrestling masks and goofy stage presence, makes for pretty well-balanced entertainment. 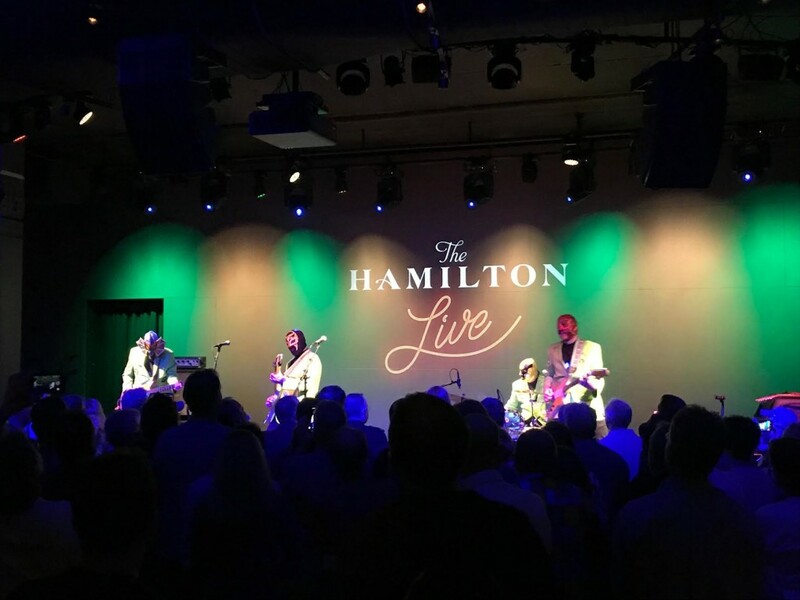 With Nashville singer Dawn Landes rounding out the bill as opener at The Hamilton Live in D.C., it crates a pretty satisfying evening. The quality descriptor, though, probably originates from Lowe’s 2013 Christmas album “Quality Street,” the subsequent holiday tours for which also involved Los Straightjackets, who had a couple Christmas albums of their own. When the band recorded its own instrumental tribute to Lowe, “What’s So Funny About Peace, Love And…” two years ago, it was practically a job application to become a permanent backing collaborator with the English songwriter. And while their stage collaborations surprisingly tended to slow down formerly breakneck gems like “Heart of the City” and “I Knew the Bride (When She Used to Rock ’n’ Roll”), their entwined touring by now has resulted not only in finding Lowe songs that bring out the best of each act — “Shting-Shtang” among them — they are also creating new recordings that show how well their shared sensibilities — and love for classic 50s pop and rock — have meshed. On a pair of fun EPs, the latest of which is “Trombone,” out this week on YepRoc, they provided timeless sounding ballads like “Blue on Blue” as well as super well-chosen oldies, like “Raincoat in the River,” an obscure single from Aussie rocker Dig Richards that fits right in the Lowe groove. From his own catalog came the sprightly opening “So It Goes,” and mid-career tuns like “Without Love” and his highest charting U.S. hit, “Cruel to be Kind” near the end of the show. But there were limitations, he seemed to indicate, leaving “I Love the Sound of Breaking Glass” to an all instrumental version closing Los Straightjackets’ mid-show set, with Lowe joining them for only the last three words. Their showcase, though, was a song they supercharged such that the well-known melody became much more rocking than intended, a version of Cline Dion’s “My Heart Will Go On” that sounded like Telstar crashing into the Titanic. A sixpack of instrumentals may be the best way to see Los Straightjackets; it’s certainly a way to force their best stuff in the most impressive way. And the break provided Lowe with a chance to even change his shirt, and come back unflappable for his second half, with new things like “Love Starvation” shining alongside the good time jolt of “Half a Boy and Half a Man.” Also in his knapsack of unexpected and lesser-known covers were Brenda Lee’s “Here Comes That Feeling” and Marty Robbins’ “You Don’t Owe Me a Thing,” — both simple, tuneful ditties that fit snugly in the Lowe wheelhouse. And truly a sign of a man who knows his audience was pulling out a song he didn’t write from 40 years ago, but one from a debut album he produced, Elvis Costello’s “Alison,” the only solo thing he did all night in the quality show.